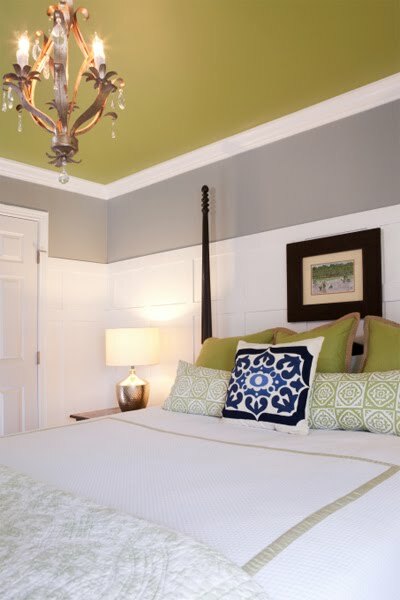 Love the pop of color the green rug provides. Did everyone enjoy their long weekend? I certainly did. It was so nice to relax the whole weekend and spend time just lounging around the house with Steve. We were so relaxed in fact, that we didn't want to work on the nursery. Well, actually the reason we didn't work on it was that we couldn't find someone to help us move furniture since I can't help Steve lift any heavy objects anymore. I'm hopeful that we can work on it this coming weekend since we have no plans, I just need to bribe my brothers to help us out for a few hours. Fingers crossed that they'll say yes to helping us out! I also had a phone date with one of my best friends, Alicia, who lives in Atlanta. She's been wanting to redecorate her bedroom for a while now, so we were chatting about the direction in which she wants the redo to go. 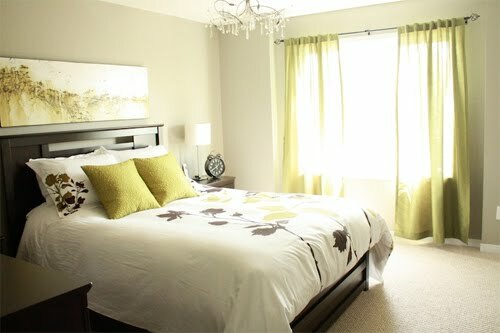 A gray & green color scheme is what she is aiming for, but she's having a hard time visualizing exactly what she wants. I told her that working on one's own bedroom is one of the hardest decorating projects in my opinion, mainly because it's a place where you spend so much time and therefore you want it to be perfect. Plus, at least for me, I like so many different styles and colors that it's always difficult to decide on anything. Which is why our bedroom is still a work-in-progress. 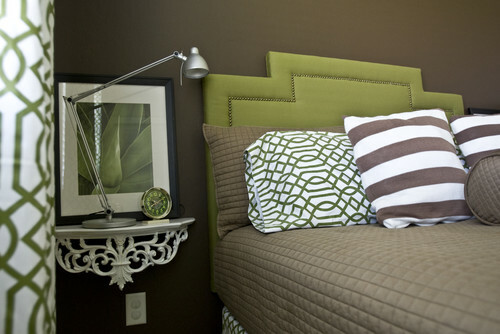 To help out my friend, I've gathered some images that use the gray & green color scheme along with other color accents and patterns. I hope this helps, A! 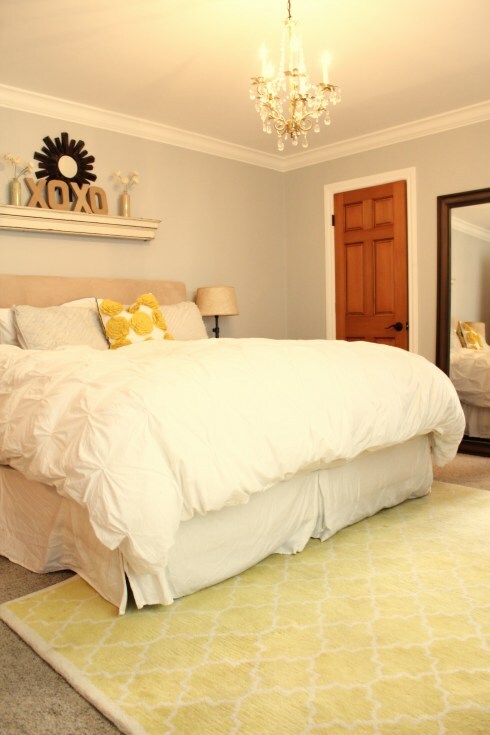 Not your typical gray & green bedroom but this room just looked like you, A! 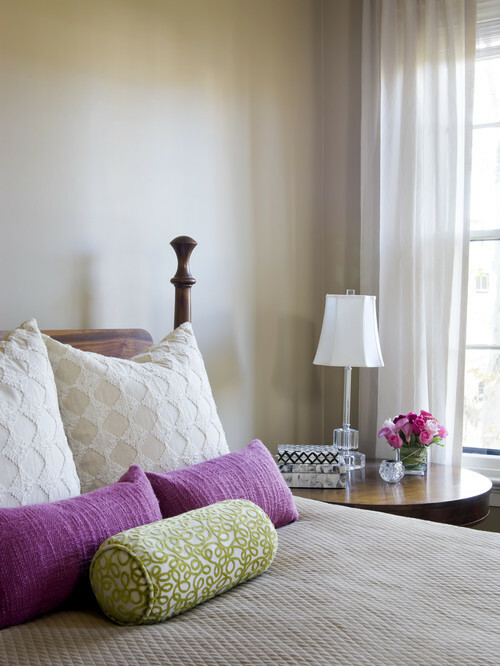 Love how the green lamps keep the room from being too frou-frou. A subtle green rug really lightens up the space even more. 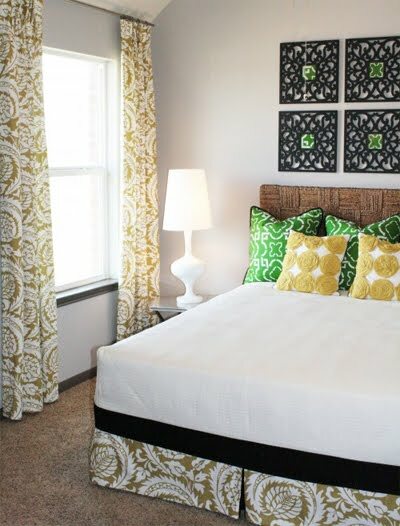 Yellow is a great complement to the gray & green color combo. This is more of a dark French gray but it still works with the pops of green. Gray, green, and purple - another fav combo! I'm also a huge fan of the gray, green, and pink color combo.